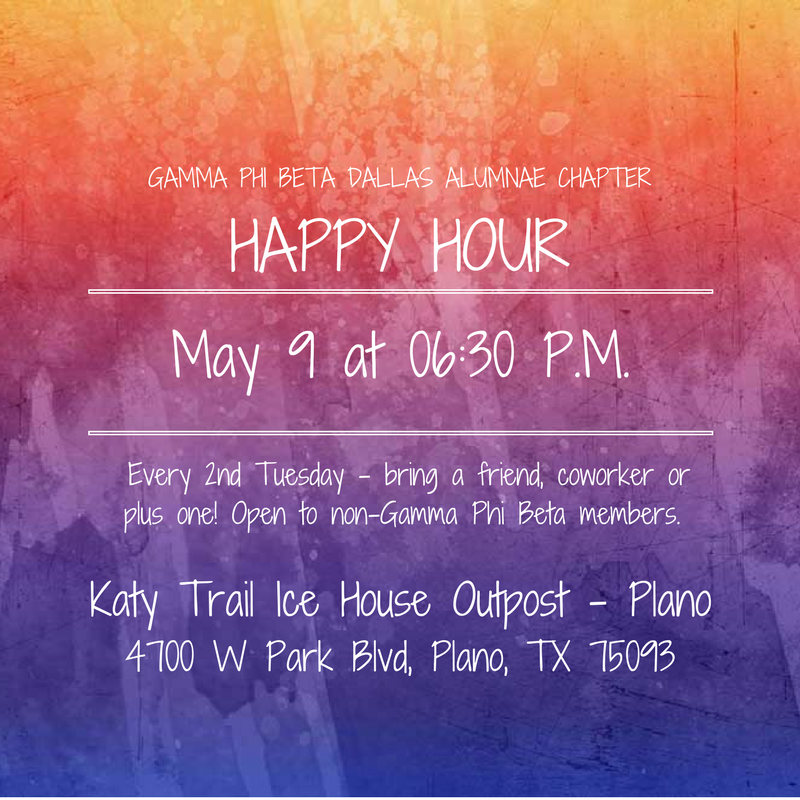 Every 2nd Tuesday bring a friend, coworker or plus one to happy hour (open to non-Gamma Phi Beta members)! Come enjoy an evening of catching up with your sisters and friends. Questions? Contact Wendy Stockard at wendy@gammaphidallas.com or Stephanie Chung at 214-577-8618 for more information.